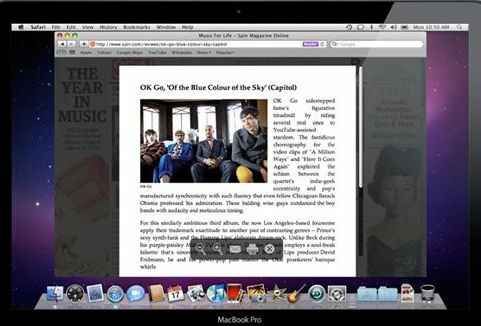 In addition to new Safari Reader, Safari 5 offers an array of new HTML5 features that enable web developers to create dynamic, media-rich web sites, such as full screen playback and closed captions for HTML5 video, supporting more interesting HTML5 features including HTML5 Geolocation, HTML5 sectioning elements, HTML5 draggable attribute, HTML5 forms validation, HTML5 Ruby, HTML5 AJAX History, EventSource and WebSocket. Furthermore, web developers can customize and enhance the new Safari 5 browsing experience by creating secure Safari Extensions, thanks to the newly-launched, free Safari Developer Program. Interested users can now download the new Safari 5 web browser for free on Apple’s official web site.